Situation awareness and accurate target identification are critical requirements for successful battlefield management. 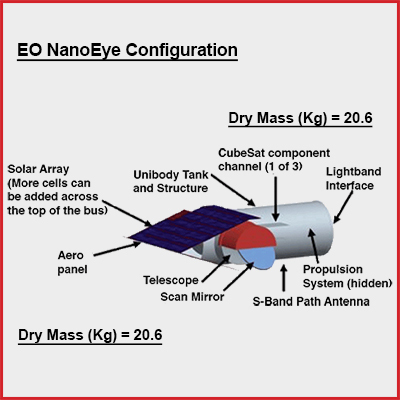 Ground vehicles can be detected, tracked, and imaged by using airborne or space-borne microwave radar. UAV platforms are nowadays a valuable source of data for inspection, surveillance, mapping and 3D modeling issues. New applications in the short- and close-range domain are introduced, being the UAVs a low-cost alternative to the classical manned aerial photogrammetric. Rotary or fixed wing UAVs, capable of performing the photogrammetric data acquisition with amateur or SLR digital cameras, can fly in manual, semi-automated and autonomous modes. With a typical photogrammetric pipeline, 3D results like DSM/DTM, contour lines, textured 3D models, vector data, etc. can be produced, in a reasonable automated way. The paper reports the latest developments of UAV image processing methods for photogrammetric applications, mapping and 3D modeling issues. Automation is nowadays necessary and feasible at the image orientation, DSM generation and orthophoto production stages, while accurate feature extraction is still an interactive procedure. » Tactical UAVswhich include micro, mini, close-, short-, medium-range, medium-range endurance, low altitude deep penetration, low altitude long endurance, medium altitude long endurance systems. The mass ranges from few kilograms up to 1,000 kg, the range from few kilometers up to 500 km, the flight altitude from few hundred meters to 5 km, and the endurance from some minutes to 2-3 days. 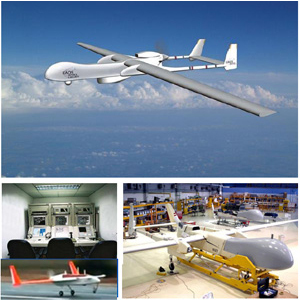 » Strategical UAVs, including high altitude long endurance, stratospheric and exo-stratospheric systems which fly higher than 20,000 m altitude and have an endurance of 2-4 days. 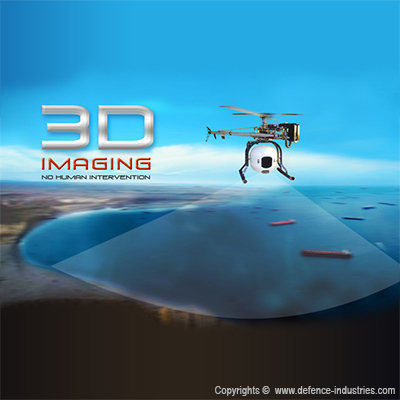 » Special tasks UAVslike unmanned combat autonomous vehicles, lethal and decoys systems. 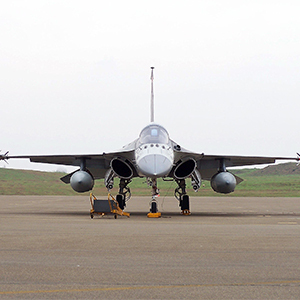 The primary airframe types are fixed and rotary wings while the most common launch/take-off methods are, beside the autonomous mode, air-, hand-, car/track-, canister-, bungee cord launched. University of Granada researchers have developed a 3D imaging system that scans 3D models of historical buildings using data obtained from an unmanned aerial vehicle (UAV)-an aircraft without a human pilot onboard. This is the first 3D imaging system to combine the use of UAVs, image-based 3D modeling technologies, and virtual representation of models to produce a realistic modeling of 3D objects from images. The endpoint of this project is to obtain a 3D model of a historical building facade -as a cathedral-without any human intervention and at a lower cost than other technologies currently available (as 3D scanners). To date, UAVs have been used in many research fields, as they are fast and they can overfly abrupt areas, avoid large obstacles and provide information from multiple sensors. While UAVs autonomy is limited, they can descend for an operator to change the battery (an operation requiring just a few seconds), and then resume its task. This way, the object can be scanned in record time without the need for scaffolding or cranes. As regards 3D-digitalization technologies, they can provide a realistic modeling of 3D objects from images obtained from sensors, stereoscopic cameras, multiple geolocated images obtained from different angles, etc. Finally, virtual reality technologies produce realistc high-quality 3D images (similar to those on 3D movies). The multiple applications of this technology are evident, as they offer an autonomous device that in just some minutes can scan a facade with as much or a higher precision than 3D scanners. It is noteworthy that this device can get close to the object up to a few inches to obtain the smallest and unreachable details. This project focused on facade 3D imaging is intended to prove the applicability of this new technology to any type of architectural model: buildings, monuments, etc. What these objects have in common is that digitalization is performed in vertical parameters and that objects are geolocalized. » traffic monitoring: surveillance, travel time estimation, trajectories, lane occupancies and incidence response are the most required information (Haarbrink and Koers, 2006; Puri et al., 2007). » 3D reconstruction: unmanned aerial vehicles are a valuable source of image data for general 3D reconstruction purposes of man-made structures (Wang and Li, 2007; Irschara et al., 2010). Despite the fact that automated image processing is already feasible with quite reliable and precise results, in the near future there are still possible improvements. High-end navigation sensors, like DGPS and expensive INS would allow direct geo-referencing of the acquired images directly on site while advanced DSM generation algorithms could deliver surface models in short time thanks to GPU programming. In case of low-end navigation systems, real-time image orientation could be achieved with advanced SLAM methods although working incrementally on a frame by frame basis can lead to error accumulation and drift errors. Sequential estimation algorithms based on Givens transformations could be also exploited for (real-time) image analysis and object space feature extraction. In any case, lab post-processing and some user interaction will be most probably always mandatory for applications requiring high accuracy. UAV regulations are under development in several countries all around the world, in order to propose the technical specifications and the areas where these devices can be used, e.g. over urban areas, increasing the range of their applications.